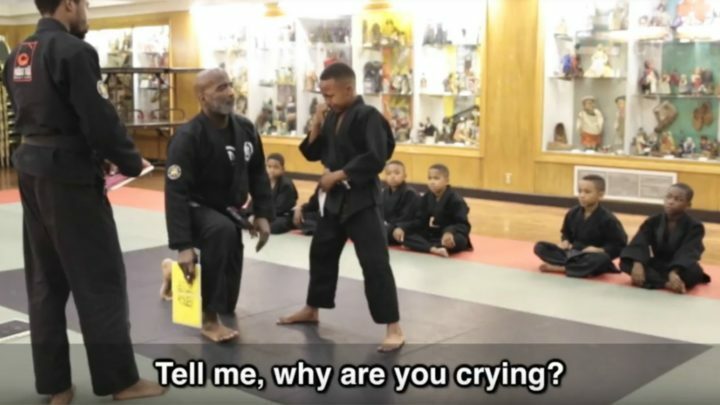 Mentor Jason Wilson Tells His Martial Arts Student That "It's OK to Cry"
Let’s face it, life isn’t easy. But when life knocks you down, it’s important to get back up and get through any obstacle no matter how hard it gets. Encountering challenges and overcoming them is what makes life interesting. He then calmly tells the boy that “It’s OK to cry,” and that “we all cry as men.” He then uses the opportunity to teach the young boy that in life, you have to push through resistance no matter how hard it gets. Just like breaking the board, it will hurt but getting through it is what makes life meaningful. After their conversation, Wilson asks the young boy to break the board once more and he does on his first try. The world needs more mentors like Jason Wilson to inspire kids with faith, spiritually, positivity, and martial arts. Please share this inspiring video of Instructor Jason Wilson comforting a crying student with your friends and family. A Couple Invited a Troubled Teen to Live with Them. 6 Months Later, They Told Her THIS. 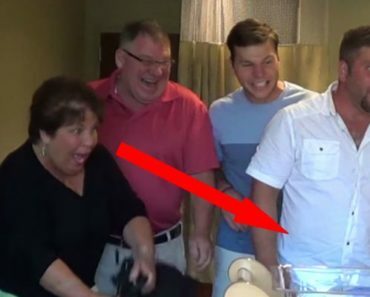 They Invite Their Family to the Hospital to Visit Their Newborn. They Weren’t Expecting THIS!